– start at the beginning! MapSwipe, with it’s easy to understand interface, is a great initiation tool into the world of crowd source mapping. A user can be up and running with a working understanding of what needs to be done within minutes. Simple registration and login processes encourage users to proceed with the endeavour, where a lengthy registration or administrative process may act as a deterrent. I found that even despite the magnification tool, details may be missed on a small mobile phone screen. I completed tasks with ease of use and conscience using my iPad, confident in the knowledge that I did not miss anything. Knowing that each individual tile is checked over by more than one person may induce complacency in the undedicated user, but it also safeguards the integrity of the information that is being recorded. The interface for OpenStreetMap and HOTOSM is a little more complicated with lots of different usability options. The manner in which the HOTOSM projects are displayed, for the beginner user, is a little more intimidating than the simple interface of MapSwipe. From a so called ‘civilised’ point of view, when presented with emotive pictures of dying children and suffering humans, our instinct is to jump into action. However, tribal villages and rural communities have not survived millennia without having the ability to solve their own problems. They have customs and traditions of worship and faith which deeply impact how they live, survive and die. I am currently reading a novel, ‘Things Fall Apart’ by Chinua Achebe. This fictional novel is, in part, a record of the destruction of tribal tradition and society by colonisation. The white man finally reaches the inner depths of Western Africa, what is now Nigeria, and interrupts the Igbo community’s cultural identity by introducing new laws, new medicine, new knowledge, and new religion. The novel by Achebe described a situation where a child was suffering with a severe fever, I would postulate, possibly malaria. The father of the child, on hearing of her plight immediately went to the woods and collected the necessary plants and herbs to mix medicine for this child. By assuming that we as Westerners, or Doctors Without Borders, have a better solution than the solutions already in place, we perpetuate the ideology that tribes and villages along with their customs and traditions are not effective or good enough. We ingrain in these communities a belief that they are helpless and need outside intervention to solve their problems. The movie ‘The Gods Must Be Crazy’ is another fictional example of damage caused to the San people, of Botswana (interestingly, this is one of the areas being worked on within the MapSwipe initiative, as is Nigeria) by the inadvertent intrusion of the white man, in the simple form of a glass Coca-Cola bottle. While these examples are fictional, they prompt thought on how we as Westerners view ourselves, and how we are viewed and regarded by traditional tribes people of the exact same rural areas that are being mapped in the name of humanitarian aid. With the best of intentions, we are still intruders. A more contemporary example of the impact of mapping initiatives is found in rural South Africa. White South African farmers, often elderly and in remote locations, are being tortured and killed in their homes. Be warned, the content of this article is graphic. Mapping makes the vulnerable accessible, but there are two sides to that statement. There are obvious deviations from what the western world considers basic human rights, and therein lies the struggle between the negative impact of intervening and the negative impact of not intervening. Without further study, I cannot decide on which side of the argument I stand. While the stated mission of HOTOSM and MapSwipe is humanitarian in nature, I question the implications of such a wealth of information falling into hands of those who would mismanage or exploit such information. There are obvious benefits of open source information, but you don’t see militarised states sharing information on weaponry. Why should we as Westerners, feel that we have the authority to reveal Africa in all her glory, even under the mandate of humanitarian pursuits? For a crowd sourcing initiative to be successful, the user interface needs to be simple. I am far more likely to dip in and out of MapSwipe than Open Street Mapping or HOTOSM as these platforms require a more concentrated effort from the user. The game like quality of MapSwipe trivialises the moral implications of the activity while also making it very easy to carry on. Projects are presented in bite size chunks, making it easy for the user to complete a task in almost any given situation. When I consider the natural disasters that occur constantly around the world, I frequently find myself in a position of not being able to help. Besides increasing monetary donations to charities I trust, there is very little that I can realistically do to help in these situations. By engaging with HOTOSM and MapSwipe and contributing to the projects, I am in fact helping and making a difference. Contributing to relief efforts from the comfort of my home provides a feel good factor that the creators of these applications, no doubt, rely on. I love the idea of crowd sourced initiatives. Many hands make light work. I have participated in local and international relief efforts, be it for the homeless locally, or for the relief of victims effected by natural disasters around the world. These have been organised through forums such as Facebook groups of like minded people and local community groups. I will continue participate in these initiatives as long as I trust the organisations that coordinate them. Through the Digital Humanities Awards 2016, I was made aware of a tool called ‘histograph’ which utilises Crowd Sourced Indexation. Concurrently, I was completing an essay on one of Shakespeare’s Sonnets. While trawling through all the possible meanings of the figurative language employed within Sonnet 130, I considered how helpful it would be to have a histograph illustrating the connections between all of Shakespeare’s sonnets. The histograph I envision would include links between sonnets detailing repetition of both ideas and words. Putting the complete sonnet works of Shakespeare through a tool such as http://voyant-tools.org/ identifies words most used, however implied meaning is more difficult to ascertain without prior knowledge of Shakespearean content. This is where crowd sourcing would come in. Figurative language can be interpreted in numerous ways and therefore can mean different things to different people. Crowd sourcing different opinions on the ideas expressed within Shakespearean works, particularly the Sonnets, would give an over view of all the possible interpretations that one sonnet could have, and connect that with the possible interpretations of all of the sonnets as a whole. 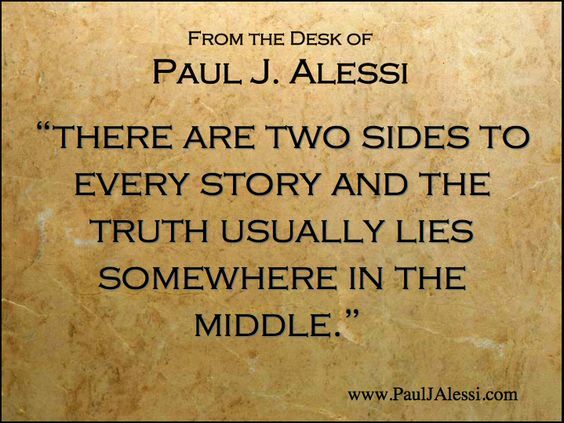 There are, at the very least, two sides to every story. Western Humanitarians v’s Rural Communities being mapped. shrouded in complicated figurative language. The more people involved in the conversation, the more truth will come out.